The deputy governor of Tehran province has demanded that Tehran city council members cease their compassionate visits to the families of post-election victims. The 'request' was conveyed to Tehran city council president Mehdi Chamran in a letter that came to light two days ago, but was dated September 15 and was registered by the council's secretariat on September 26. The missive was signed by Safarali Baratlou, Tehran province's social and political deputy governor who is also in charge of security and police affairs. Baratlou was placed in charge of organizing the presidential election in Tehran province by Governor Morteza Tamaddon in March. 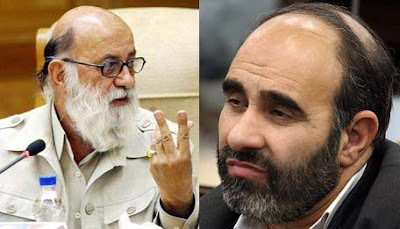 City council president Chamran belongs to the conservative Principlist faction, but he shifted his allegience from Mahmoud Ahmadinejad to Tehran Mayor and Ahmadinejad rival Mohammad Bagher Ghalibaf in 2006. Baratlou, like other provincial officials, is appointed by the Interior Ministry.